More proof that truck owners want luxury. 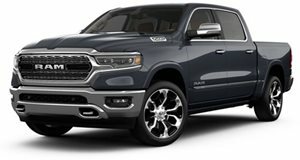 Ford and GMC both offer premium truck trim levels and now Ram has revealed its own luxury full-size pickup. Coming straight from this year’s Chicago Auto Show, an event widely known for truck debuts, is the 2015 Ram Laramie Limited. Available for the 1500, heavy-duty 2500, and extra-duty 3500 bodies, the Laramie Limited is for those who want a luxury pickup with tons of chrome trim. Note the new front grille that’s inspired by the Ram Rebel, which debuted at Detroit . Even at the rear end there’s a 20-inch wide “Ram” badge. It may be somewhat excessive but there’s no questioning which brand of truck this is. The front and rear bumpers and mirror caps are chrome-covered and there are LED turn signals. The taillights are also LED units. The interior features black leather, real wood trim and silver pinstripes. There’s also an 8.4-inch uConnect infotainment screen. 20-inch aluminum wheels come standard as does a body-color front fascia with fog lamps. 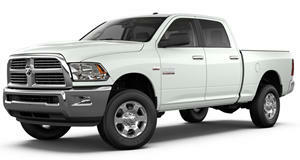 Ram will offer the Laramie Limited first with the 1500 later this year and the 2500 and 3500 will come at later dates. Official pricing wasn't announced. Ram's new eTorque hybrid system comes as standard to boost torque by up to 130 lb-ft. Yes it's a hybrid, and yes, you're going to fall in love with it. There's a new champ in town.